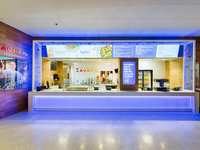 We provide digital signage solutions to all industries, from small businesses to global enterprise organizations. Pros: 1. Integration with RAVE (emergency alert system). 2. Amazing tech and sales support. Our sales/account rep bends over backwards to provide quick and comprehensive services. I requested a media box to test and we had it in less than a week. 3. The company is willing to work with me in implementing our procedures. I get email notifications before each upgrade and another email when the upgrade is done. Cons: Under the 'Manage Devices' section - the Filter defaults to 'My Devices' rather than defaulting to 'All' . 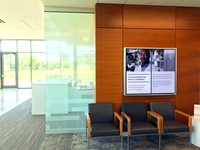 Overall: We were able to implement our digital signs project in a timely manner. Troubleshooting has been a breeze with an easy to use GUI. We have also set up emergency notifications through out the enterprise that is tied into the emergency broadcast system of the Police Department. Experiences with sales and tech support personnel have been pleasant, prompt and productive. I would buy this product again. Pros: I like the product and its ease of use. The cloud service helps me manage my players multiple locations if needed. I also cannot say enough about their customer support. They've always been available to help with any issue I might have. Cons: Sometimes if I have not used certain features or I'm looking for something new it can be difficult to locate. Once I learn the product it's intuitive but trying from scratch it can be intimidating. Overall: We used Industry Weapon to replace our existing Cisco DMM and it's light years ahead of what we had. I think that their customer service is one of the things I really appreciate. Service after the sale is always a plus. In their case no matter what my question is related to they've never let me down. Pros: I love how customizable it is - we have yet to come up with a scenario Industry Weapon can't pull off! Cons: It's not the most stable platform I've ever used. Certain displays seem to break randomly and inexplicably. But, it's easy to fix on my own! Overall: We installed Industry Weapon software across our new college campus, and it's been great. 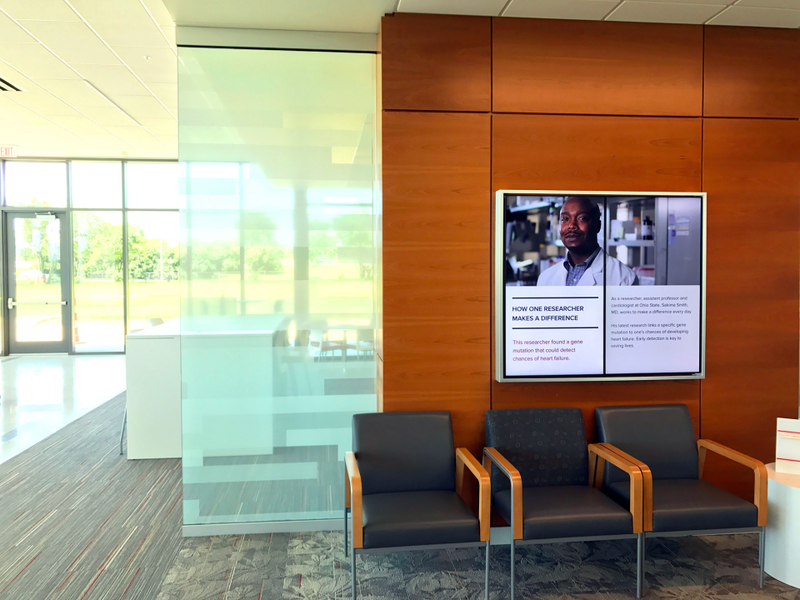 The ability to easily customize content across campus without having to physically go to each display and reprogram it is such a time-saver. The built-in features are great, and the support can't be beat! Thanks for the review! If you're having an issue, we want to know so that our team can look into what is causing your problem. Your account manager will be reaching out to get more details and help figure out your problem. Pros: I love the ease in which slides can be added/deleted from rotation. The ease of adding new users and templates to the main hub is amazing. The image quality and resolution is also amazing when viewing on tv and the quality does not distort. Cons: How hard template manger is to create. It is challenging to have the whole team set a digital template when reviewing items. It is also hard to create functional ideas without having exact specifications. Another set back is how difficult it is to manage the sizing of media inside of Command Center. Overall: Benefits overall out way the bad. I would love to see new videos of how to do certain things, more technical things, than are currently displayed. A walk through video would also be nice instead of the shortened videos that are currently shown. Hi there, it sounds like we need to get you better access to training materials! https://training.industryweapon.com/ is a great place to start. We have more in-depth training materials within the "I'm New to CommandCenterHD" section. In particular outlining your options to re-size media like you would in a WSYWIG editor such as Powerpoint. Bottom line, we want to make sure you get access to the training you need. Our email address is included in this response, please let us know availability for a call to review further. Pros: The overall simplicity of the software has made it something that we not only use for our department, but have become proponents of to others throughout our company. Having a simple web interface to upload content to every TV on site, as well as the ability to tailor content to each audience is stellar. Additionally, any issues we have had were handled quickly and in a timely manner by the IW technical team. Cons: Haven't really run into any major cons. The inability to run multiple RSS feeds has come up once or twice, but wasn't a major impact. We had a problem with a player updating causing one of our displays to be down for several days, but the technical team worked on it and sent out a drive with the updated software which fixed the problem. Overall: Using IW we have been able to share our progress against goals with Management and our team as well as keep people up to date on potential issues. It has been a wonderful way to keep everyone on the same page. Pros: I like that is web based and that I can access it anywhere without having to worry about installing software. The free red core content with joke of the day, fun facts, etc is a great way to add fun content to your slides, and since they are updated daily by Industry Weapon it takes the burden off you from having to constantly maintain the content. I like the massive amount of features and customization that built into CommandCenter. One of the best things is being able to schedule and control content for the future so that I do not need to maintain the content that is being displayed each morning. Cons: It took a while to learn how everything worked and fit together because there is so many options and controls, but this is what also makes it a very powerful tool. Overall: CommandCenter was a great solution for controlling a massive amount of content and notifications that we wanted out staff and clients to see. Pros: The customer service is excellent. Anytime I have a question or need help, customer rep. is quick to respond. He is extremely helpful and informative. Always a pleasure to work with. Cons: I sometimes find that my screens don't connect to the website. I find this frustrating. We have two screens that are set up on a different website than our other ones which can be annoying. Overall: The customer service is excellent! I do have problems with the software but I don't mind talking it though with our customer rep. or the help line. Hi there, would you be free for a call with our customer service team this week? Your company name was hidden and we'd like to look into your comment regarding your screen set up. You can respond to this message or email accounteam@industryweapon.com to schedule. Pros: I love the ease of updating content and screens! With our old program, updated the screens in our offices would take hours to do. Now I can easily make a switch in seconds! It really saves me time and makes my job so much easier. Plus, our TV content is incredible and employees and visitors are always commenting on how great it looks. Cons: I wish the social media apps were a bit more interactive and aesthetically different. Overall: It was been wonderful so far. Great support. Anytime we have technical problems, the support team is quick to help. Pros: We are a small department at a larger university. 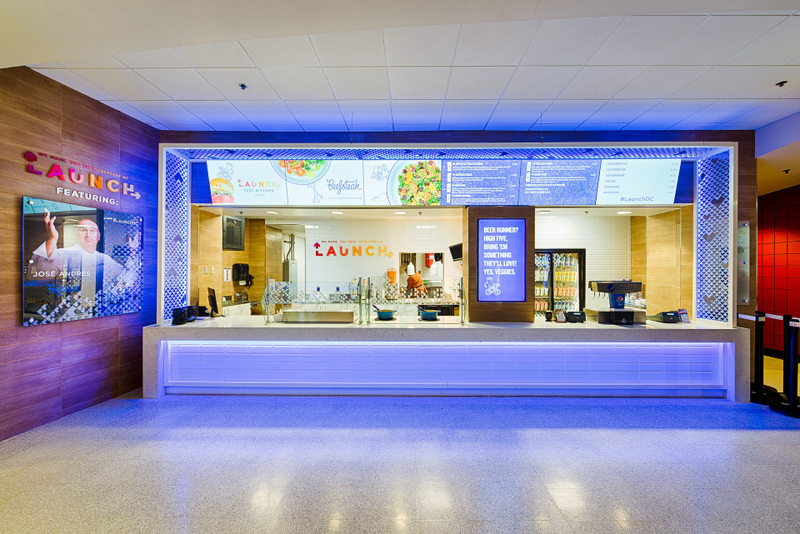 The university as a whole uses CommandCenterHD across campus to control all digital signage. Our department (performing arts venue) uses it to control our promotional televisions in the lobby and box office. The software is simple to navigate with nearly instant playback after changes are made. We are very impressed with the ease of use and the customization it allows. Cons: It is not mobile friendly when you are trying to update your digital signage on a mobile device or iPad. The dashboard is only 100% functional on a desktop computer. 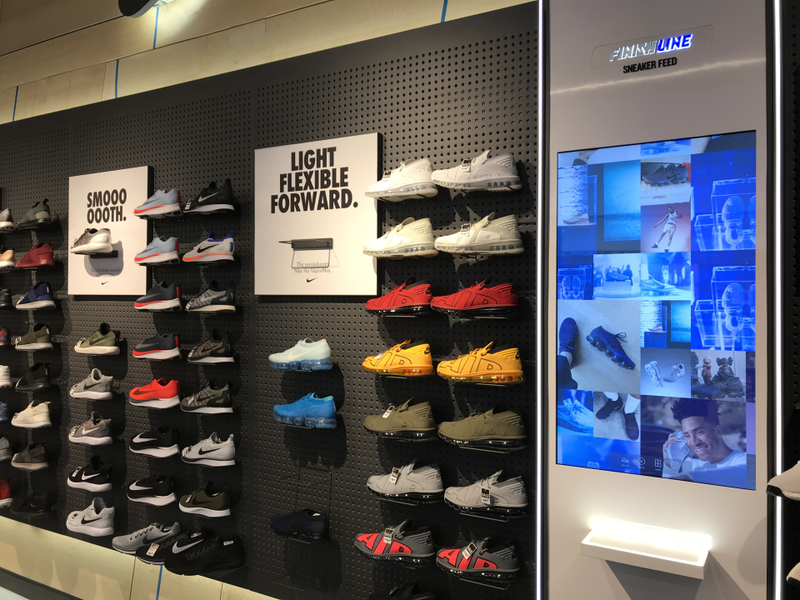 Overall: We are planning to add a social media wall to our digital signage and recently discovered that CommandCenterHD has an app called Social Buzz to seamlessly integrate this social media wall with our current promotional videos we are running. They have been great to work with and willing to get us the best options for our needs. Pros: The amount of information content I am able to display for the staff that does not have regular access to a computer. Very easy to manipulate each template, campaign, and channel to be something that people will want to look at. Cons: Some of the features can be a bit difficult to use at first. However, the customer support is incredible so they will get you through any issues you have. Overall: I very much like having one place to keep all of our employees up to date with the on goings of our company. It's nice to have somewhere they can go to get information without having to log in to a computer. Some of the features are a bit "clunky" and somewhat difficult to get used to but the customer support is far above and beyond any other that I have dealt with. They make sure you get what you need out of the application in a VERY timely matter and that you fully understand how to use the system. Pros: The structure and work flow of the software makes it very easy for our graphic designers and admins alike, to use this in a day to fashion that suits their specific needs. The learning curve is small and with the ongoing free training, it allows our users to get comfortable with the software and its features, as they need them. Cons: This is not really so much a negative, as just a reality with a software tool that is expansive, as CCHD is. For some users, they get initially overwhelmed at the capability and can get scared to dive in. This is where we point to the training to help get them over their fears. Overall: CCHD allows us to address our digital marketing needs from the simplest of internal messaging, to the most creative of client facing content in a single platform. From a single screen in a hallway to some of our multiscreen video walls, we can use the same solution and control it centrally. Pros: The software is user friendly. Uploading files and keeping track of all of the necessary information is quite simple. I can easily see which screens are down and the campaigns are easy to change. Cons: We've had some trouble with getting some of our TVs up and running. The customer service team is usually able to help but when one TV goes down it takes at least five others with it. 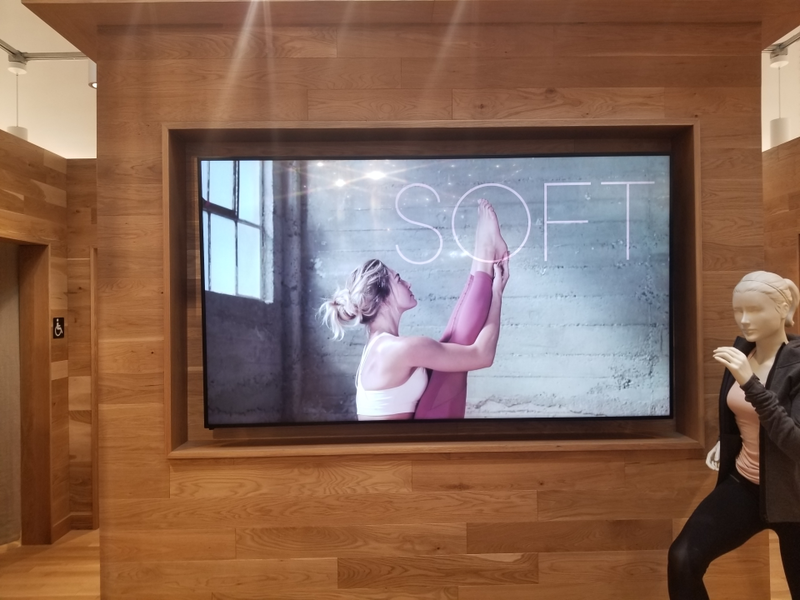 Overall: From a marketing front, the digital signage has improved our advertising ability substantially. We are now able to get our marketing material displayed in the branches almost instantly. We have had troubles with the TVs themselves, but most of the issues have been corrected in a reasonable time. Best software on the market! Pros: Very user friendly and easy to navigate the menus. The dashboard is vivid in color with nice bold size fonts to help understand each function. The message feature helps when you want a quick response for problem solving. Cons: I was put in charge of the digital signage boards several months ago, and I'm still learning the software. I haven't come across any issues worth changing at this point in time. Pros: I like that it is easy to maneuver around the program and can understand the different options. Cons: There really isn't anything I don't like, it is a very useful program for posting important info for our employees. Overall: We use this program to inform the employees of important dates and topics that concern them. Jennifer, thank you so much for your review! We love working with you and the rest of the Land O' Lakes team! 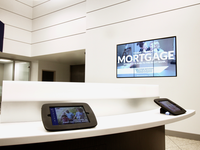 Pros: The ability to update our digital signage, located in multiple buildings, from my connected computer or laptop at work or remotely. Cons: The management of the media files is a bit clunky, but not too bad. Overall: CommandCenterHD is a portal that allows me to quickly upload images and place them in a campaign. The options to schedule the start and end time of a slide is convenient. Pros: It has a lot of features for making content. Support does a good job helping end users with their content. Support is responsive. Cons: The embedded LG Series E player has been super problematic. Our players go offline often. The fixes from support are often limited because they are waiting on fixes from LG. One fix seems to lead to another fix. Feels like we are often going in circles trying to get the embedded players in the TVs stable. Support does their best to help, but there are often not any quick answers and we have a lot of downtime. Markets the embedded players are easy to support and that has not been the case for us. Support 4 TVs with this players and trying to keep them online has cost us many hours of lost productivity internally. Overall: CommandCenterHD is good. The platform is great, the content is great, using it is pretty easy for the users. Appreciate your review and glad that you love the content and usability. That said, very sorry about the hardware issues you've experienced. We are working with the manufacturer to resolve your issue as soon as possible. Pros: CommandCenterHD is a simplified platform with endless possibilities. Once you understand where to go within the software, you can do whatever you want. Unlimited users with admin level abilities is another fantastic feature. Cons: I wish it could autocorrect my terrible design skills, because I'm no designer. Overall: I'm not tech-savvy by any stretch of the imagination, but I was able to learn the software with very little effort. The people of Industry Weapon are the sweetest, most patient vendors around. I never feel awkward reaching out to them with any question or concertn. They also never charge for training or support, which rocks! Pros: The span of features and simple application makes this a scalable tool for any size communications plan. Cons: I wish it was easier to see the full schedule of ads playing all at once. Overall: Our company has utilized CommandCenterHD for years and continues to implement it in our offices as our company expands. Pros: The ease of use. The ability to download any photos our groups may like to display while in house. Cons: I do not have any complaints about this software. Overall: CommandCenterHD has amazing customer service and gives me a more creative way to display the groups in house each day. Cons: The impossibility to see my slideshow in real time, I have to wait in front of the monitor to see if everything is OK. I will appreciate a little more support inside the application in order to know the functions better. Overall: I am satisfied with the application but I thing needs improvement in regard the ability to display the slideshow in real time in order to check if everything is running OK. Thank you for the feedback! We actually do have a few options for you to view what you have scheduled to a slide. This includes the ability to view a screenshot of what is playing on any device, campaign preview options or even a soft player for your actual device. We'll send this feedback to our customer success team to get you more details. Pros: The wide range of features and the stellar customer support. You can do a lot with CCHD if you put in the hours to learn it. Cons: The learning curve is appalling. Trying to teach employees how to use it is practically impossible. Instead, you have to throw them in and see if they'll drown or swim. Also, someone at Industry Weapon has a very strange taste in naming things. 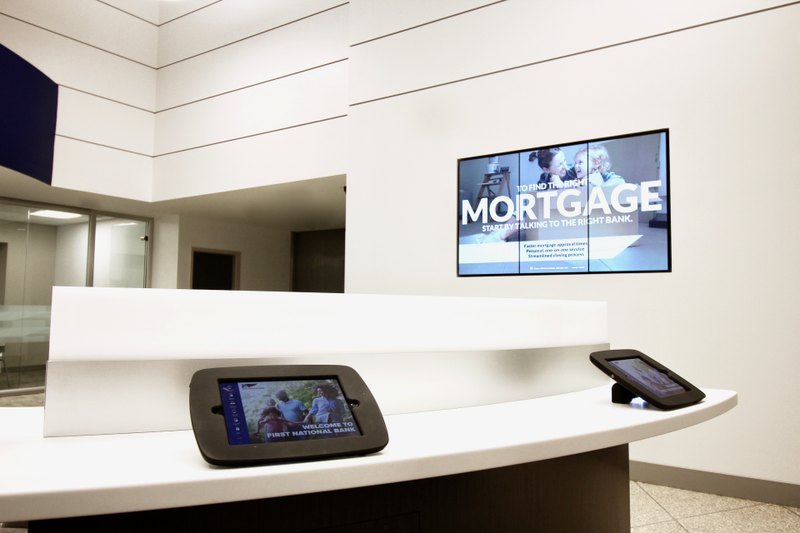 Overall: We needed digital signage for our campuses. It worked out alright. Pros: This is exactly what we were looking for to display upcoming events. Cons: It is a little bit difficult to understand at first but support was very helpful and answered any questions I had. Overall: The town was looking to modernize our town hall directory and this fit the bill. We are able to display weather, a news ticker, the directory and have multiple slides for upcoming events within town. Pros: The software is very easy to use and to troubleshoot with. Cons: When google maps when down it went down in the service. Overall: Very easy to use and setup different devices across the country. Pros: Ease of use, great custom templates and integration with other platforms. Cons: I wish I had more time to create and try all the features! Overall: Industry Weapon has provided beautiful digital signage across our school campus. The displays keep our students/faculty engaged with fun and informative content. The customer service and account management teams are top notch and super responsive. Pros: As a tech support guy, I appreciate that my colleagues using CommandCenterHD rarely require extra help from me. The training materials are there to answer questions. And the CommandCenterHD support folks can fill in any extra blanks for us. Cons: There is a fair amount of new jargon to learn. Pros: Easy to use and great support. When they help they do it promptly and all always follow up. Cons: When I first logged on it was hard to navigate without customer support. After that with help it was easy. Overall: At first I had a hard time understanding it but then getting support was easy and very detailed. Pros: The customer service is fabulous. It can be difficult to always update. Cons: Doesn't always work. Has a lot of uploading and deleting just for a small change. Pros: I can log on anywhere and upload new monitors slides. I can see the slide and review it before I make it active. Overall: We are not solving business problems, we use it as a means to inform employees and visitors. Pros: The software once familiar with it, is intuitive, delivers as expected and the support is excellent. Cons: We had a bit of an issue with multiple users using the same account, and deleting parts of a template. Having an archive that was easily accessible would have saved some time restoring. Pros: The ease of use is the best attributes!! Pros: It is very easy to navigate and is a simple solution for our needs. Cons: I haven't run into anything that I would say it unfavorable. Overall: It has been wonderful so far! Pros: Easy to understand and manipulate. Great functionality. Amazing customer service. Cons: There are no issues with this software. its incredible. Thank you so much for the kind words! Glad you love working in the platform! Pros: I has a little bit of a learning curve, but once you figure it out is it easy to use. Cons: The delay once you change out slides. I can take almost 30 minutes. Pros: The ability to create slides within the interface. Cons: The clunkyness of the interface and tediousness of things constantly breaking. Overall: We wanted to be able to show different content to different office locations across the country. While this does work for that purpose, it's been difficult to get it to that point. Our contractor working with Command Center/Industry Weapon, Sharp, has been painful to liaise with and if you can avoid working with them, I would. Pros: The Ui is easy enough for the non technical members of staff to use. Cons: Lack of development on the webpage support module. Overall: Lots to enjoy , but hopefully more progress in the future. Sorry to hear that you have experienced challenges with the webpage support module. Your account manager will be reaching out to work through your issues and set a plan to resolve. Pros: What I like most is being able to seamlessly create presentations and display them. The support is also great when there are issues. Cons: Some error messages could be more descriptive for resolution without the need for support. 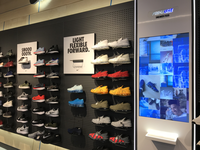 Overall: Overall using CommandCenterHD has been a joy to use and we are able to communicate and market through our display. Pros: Their support staff helped me get through a problem that I have been struggling with for a month because I was too busy to call. When I got in touch with them, we had it resolved within an hour. Cons: Takes a little while to find answers on support page. Overall: Had problems getting bridge installed and couldn't find information on their support site and didn't have time to really call. When I finally scheduled time to call, they were excellent and had me up and running within an hour. Great Job! Pros: I like the platform because it is relatively easy to use and it is a great communication tool. We have three monitors throughout our school so not only do students stay informed but parents and visitors also can view important school information. Cons: I really do not have anything that I do not like about the software. On occasion, I have a little trouble lining graphics up within the borders but it is a minor issue. Cons: Some of the apps are clunky and hard to work with ApproveIT, scheduling and features could be made easier with use of drop-down menu etc. Pros: It is easy to get our information on the TV for other colleague to see. Cons: There is nothing that I like least about it. Overall it is a great software. Cons: Any software or Template updates need to be notified to the customer. Very sorry to hear that your experience with issues was less than stellar. A member of management will be reaching out to you to understand how we could have made this experience a 10. Pros: The ability to post content quick and fast and being able to set a date to have the software automatically take down. Cons: I didn't like how all the different steps were named at first. I think that this can be confusing for beginners. Maybe implicate steps 1-4 instead. Overall: Overall, I've really enjoyed CommandCenterHD and how helpful the customer service was to me when I first started. Pros: I like the ability to utilize templates across the company for similar events/displays rather than recreating them. Cons: The terminology always confuses me--campaign/channels and what each does when I just want to jump in and make some updates. Also, I've noticed when building slides and saving them, what is previewed for me versus how it is displayed on the screen can be slightly skewed. Some times where things clearly don't overlap on the computer while building, it does once it's viewed on the screen. Overall: It has great safety messages and current company updates.